The Mariners are hot. Baseball fans and pundits alike are taking notice. But they have one question: Is it sustainable? The Mariners are one of B/R’s “teams that impressed,” the site writing that Seattle and Houston “continue to jockey for position in the AL West. The Mariners have gone 17-5 in their last 22 games to ascend to the upper echelon of teams, while the Astros continue to look like the team to beat thanks to a 2.91 starters’ ERA and an offense that has plated 4.97 runs per game.” However, no M’s make B/R’s AL All-Star ballot. As a Giants blogger who “has always worked with at least one Mariners fan,” Grant Brisbee of SBNation has experienced the existential pain of Mariners fandom from a safe distance. Now he grapples with a difficult question: The Mariners … might be good? “… right now, the Mariners are flying as close to the sun as they’ve ever flown in the Dipoto era, and it’s possible that we’ll look back and realize he traded the team’s wax wings for winches, pulleys, joists, sheets of canvas, and lightweight pliable framing. It’s still early. The Mariners can still plummet to the earth, and we know this because we’ve watched them do it over and over again for the last 41 years. We know this because most baseball teams do, at one point. Just not with the zeal and aplomb of the Mariners, usually. Don’t worry about that yet, though. Look at them, turn them over, inspect every nook and cranny, and come to the same conclusion as the rest of us: The Mariners … might be good? The kind of good that comes from a deep roster and can get even better in July? It’s weird, alright. But it turns out that all of these convoluted moves might have been leading to something after all.” Read more. Outfielder Mitch Haniger (.267/.351/.496, 13 HR, 47 RBI) is one of Sports Illustrated’s Gabriel Baumgaertner’s 10 unlikely All-Star candidates. Elsewhere in SI, Jon Taylor expounds on the Mariners’ heart-rate-rising (but not the best in baseball, he notes) 21-9 record in one-run games. How the heck are the Mariners tied for first place with the Astros despite a run differential of +20, while Houston sports an MLB-best +127? Jay Jaffe explores that for Fangraphs. “Those one-run games are the reason. The Astros, who would be on a 109-win pace if they had merely gone .500 in such games to this point, actually won a pair of ’em on Saturday and Sunday, but when it comes to such those contests, they’re still tied for the majors’ fourth-lowest winning percentage and fourth-lowest win total in one-run games. 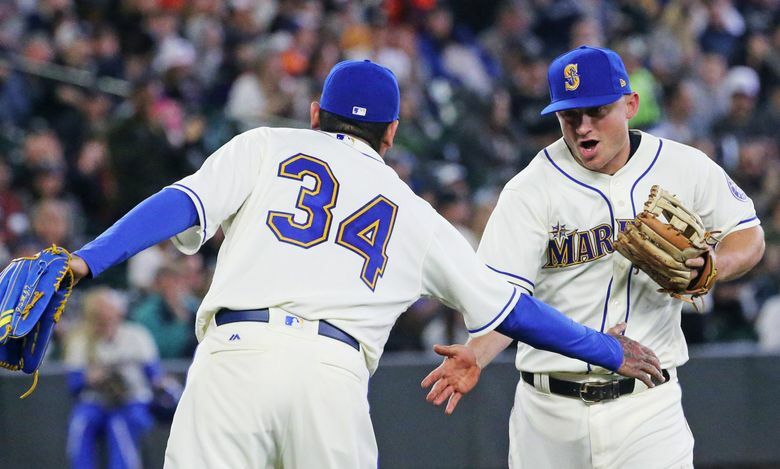 The Mariners, on the other hand, have five more one-run wins than any other team and eight more than any other AL team, though they’re merely third in winning percentage.” Read more.